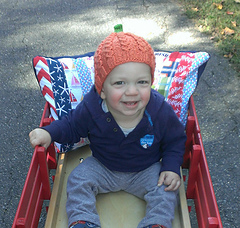 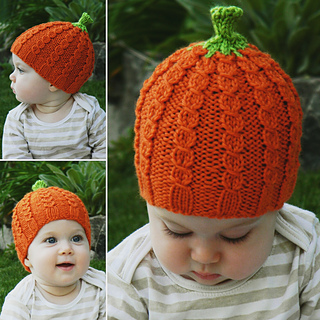 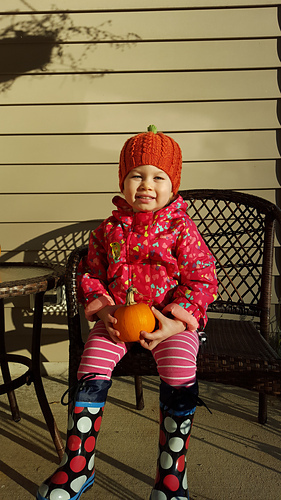 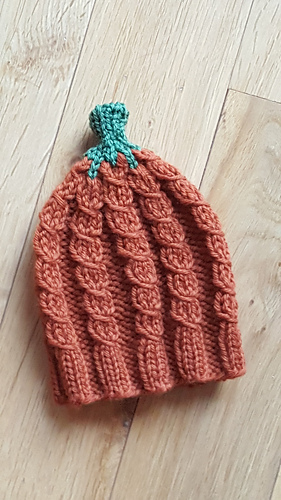 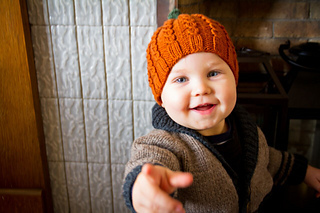 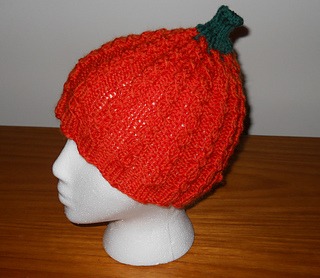 A snug fitting pumpkin-inspired beanie perfect for harvest season and trips to the pumpkin patch! 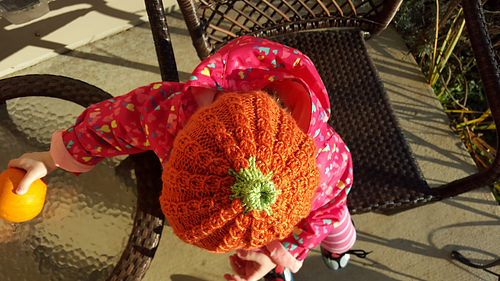 Originally designed for my granddaughter, Charlotte, I re-created the pattern to fit six different sizes -- one for each member of the family. 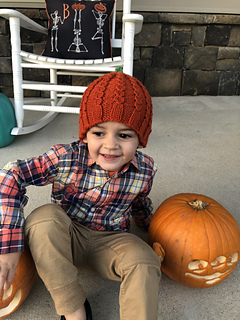 While simple enough for the less-experienced knitter, the 3x3 ribbed pumpkin stitch pattern, creative decreases, and the fun stem all provide interest for those with more experience. 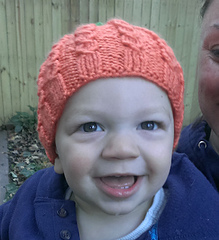 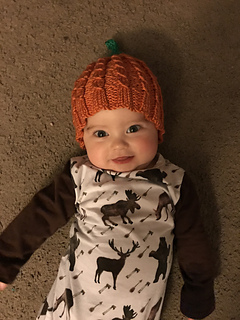 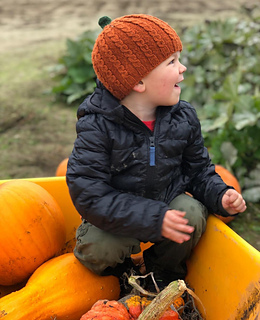 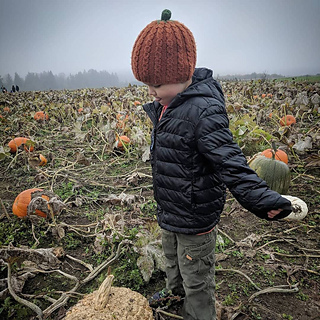 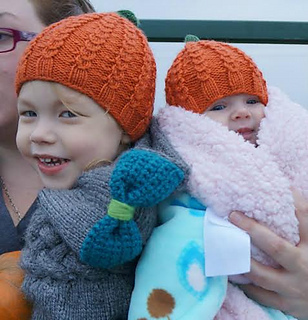 Super stretchy, the Pumpkin Patch Beanie fits a wide variety of head shapes and sizes and nicely provides full coverage of the ears to keep them warm and toasty on cool fall days and evenings; alternatively, the 3x3 ribbing looks adorable cuffed, if desired. 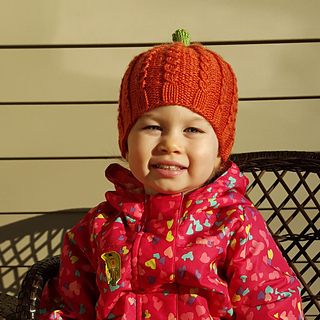 Have fun at the pumpkin patch and don’t forget to take a family picture! 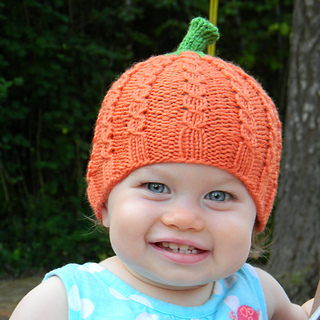 newborn (3-6 mo., 6-18 mo., toddler/child, teen/adult, adult XL) with head circumference up to 14 (16, 18, 20, 22, 24) inches. 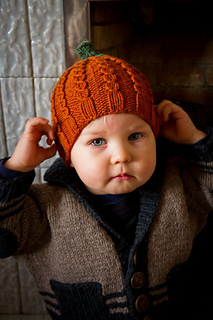 US 7 circulars & dpns; a US 5 circular is used for the initial ribbing. 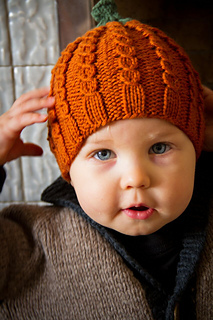 Orange -- approx. 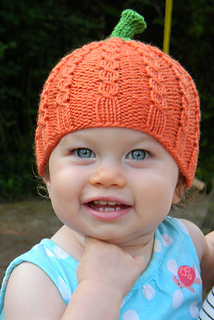 50 (70, 85, 100, 110, 120) yards worsted weight yarn. 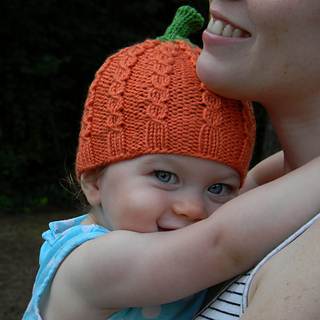 Green -- approx. 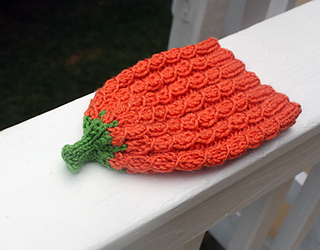 13 yards worst weight yarn. 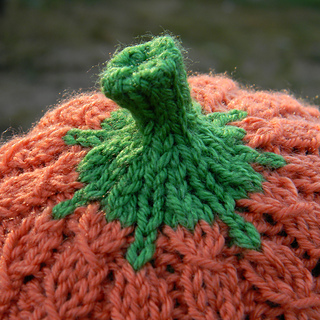 All stitches are slipped with yarn in back.